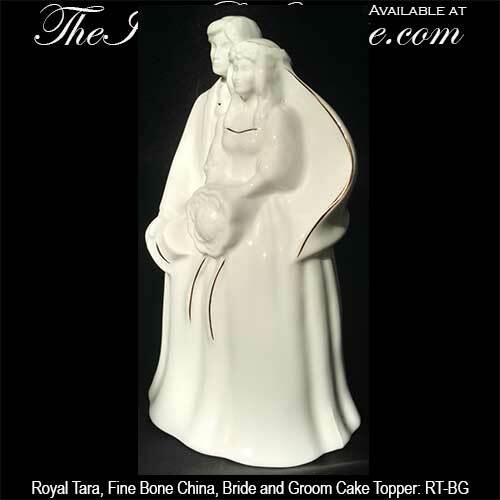 Royal Tara China gift-ware include Irish blessing plates with Celtic knots and home decor items with their famous trellis shamrock pattern. 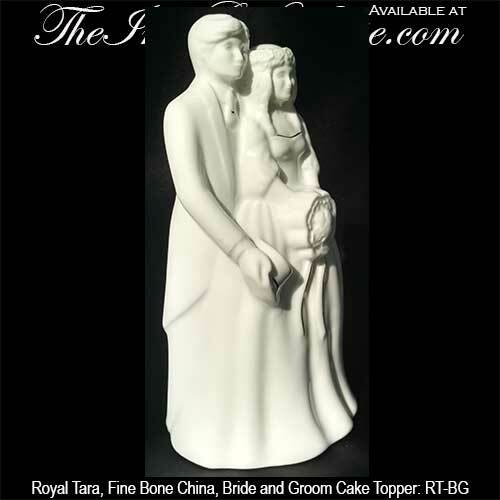 This Irish wedding cake topper is crafted in fine china. 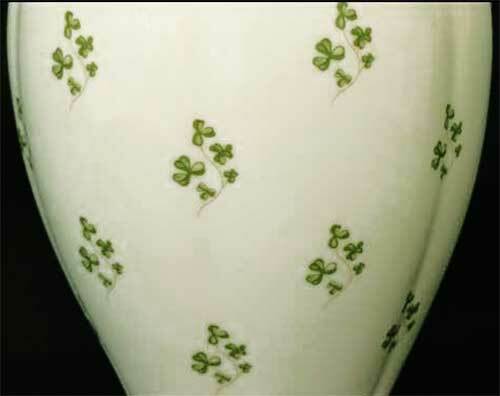 Irish vase features the shamrock trellis design on fine china. 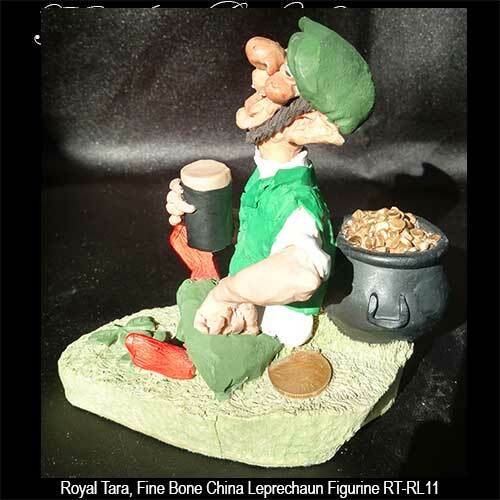 This fine china leprechaun figurine is accented with a pint along with a pot of gold and shamrocks. This Irish blessing plate features a special tribute for mother and is augmented with a Celtic knot design. 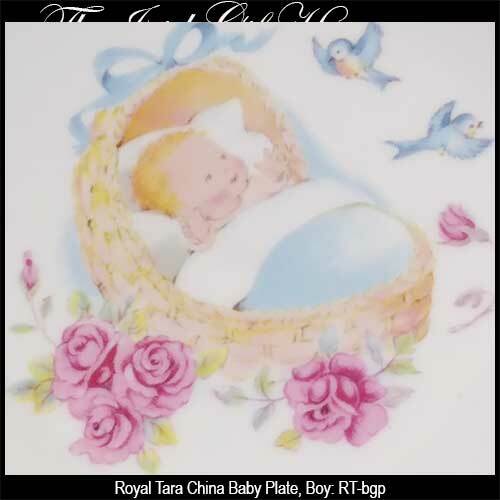 This Irish plate features a child's blessing along with a Celtic motif on fine bone china. 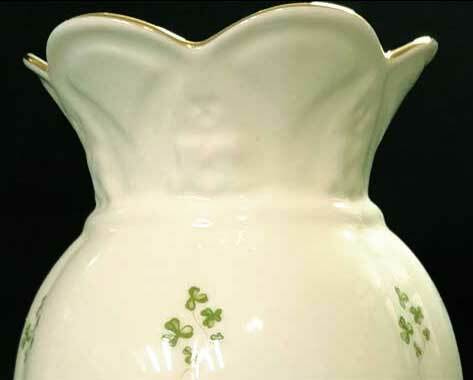 Irish china vase features the shamrock trellis motif. 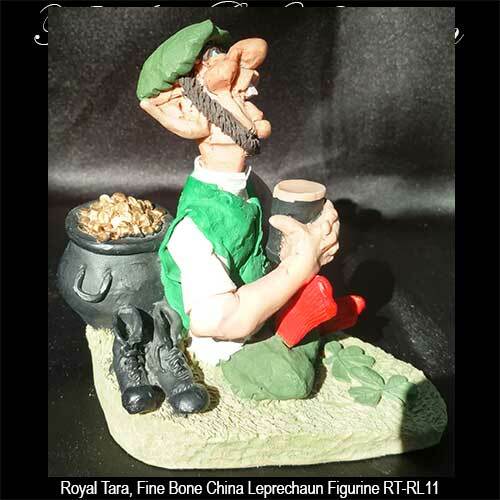 Irish piggy bank features bone china construction in the shape of a Teddy bear that features the trellis shamrock design. Celtic cross features bone china construction that is enhanced with the trellis shamrock motif; it is suitable for both the wall or for standing. This bone china basket features the trellis shamrock design. 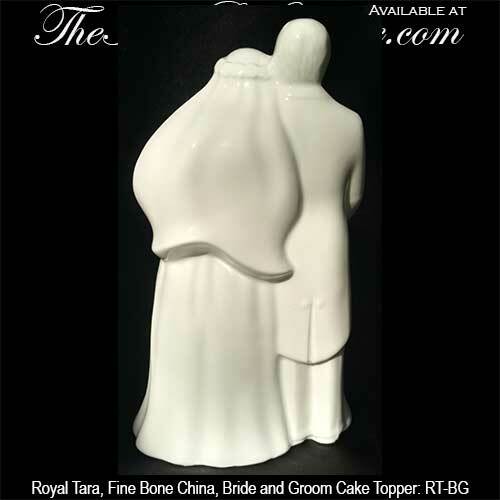 St. Brigid's wall cross is crafted of fine bone china and features the trellis shamrock design. This Irish horseshoe with shamrocks may be carried by a bride or serve as a wall plaque. 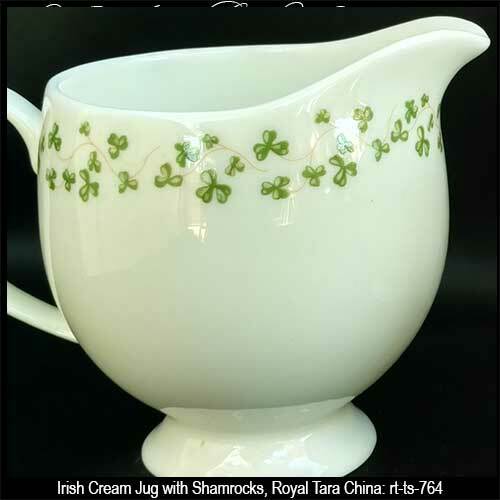 This Irish creamer features the shamrock trellis design on fine china. 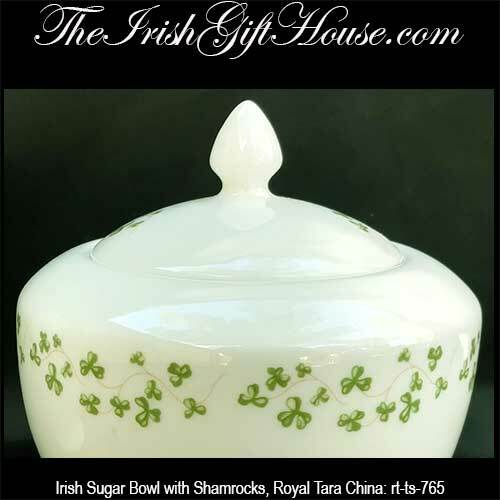 This Irish sugar bowl features the shamrock trellis design on fine china. 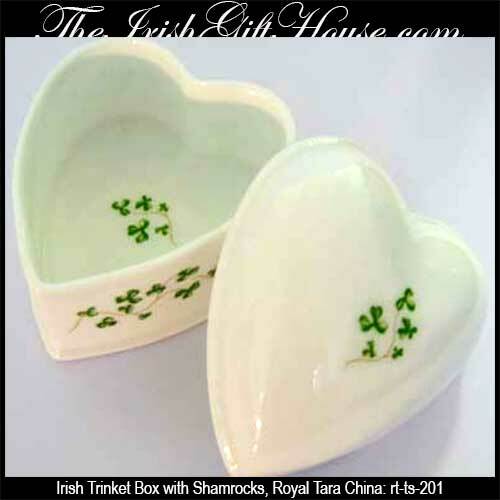 This china Irish box is heart shaped and features shamrocks. 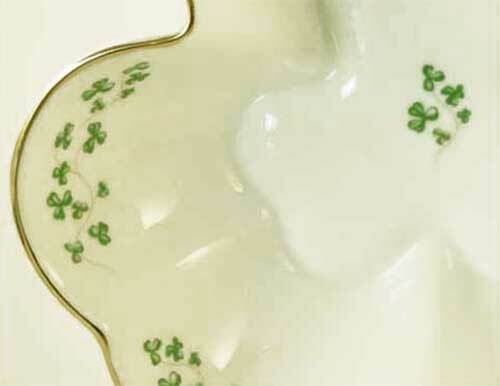 This Irish dish features a shamrock shape with green shamrocks on fine china. 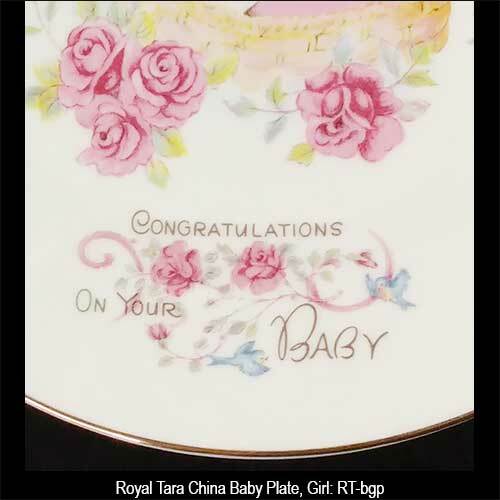 This fine china Irish plate offers Congratulation On Your Baby along with a pink motif. 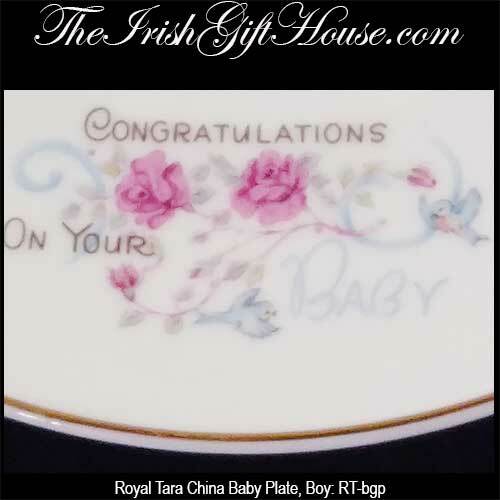 This fine china Irish plate offers Congratulation On Your Baby along with a blue motif. 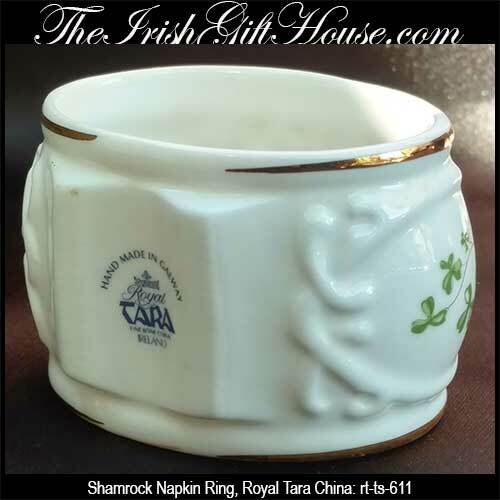 This Irish napkin ring features the shamrock trellis design on fine china. Once you have selected the perfect pair of shamrock earrings you may wish to add to your collection with a complimenting pendant. 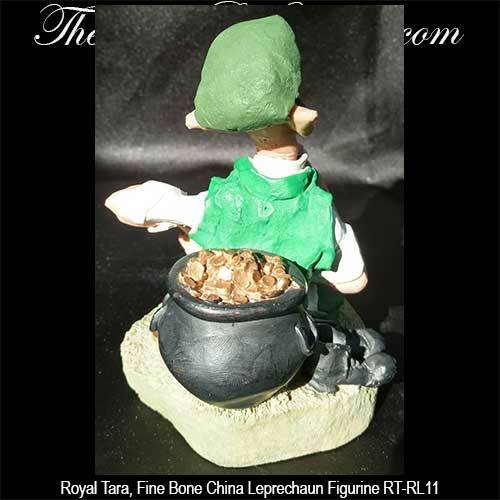 You will find an abundance of choices on our pages of gold shamrock necklaces; The Irish Gift House also features silver shamrock pendants and plated necklaces too. But why stop there when you can also add a shamrock ring or a shamrock bracelet and thereby create a complete set. The Irish Gift House features shamrock earrings from Solvar; we also stock selections from Tara, All that Glisters and Cailin.